The project included web app development for a leading patent and trade mark attorney firm in UK (Marks & Clerk) to automate their patent services and to track reciprocity data from associate law firms and partners all over the world. The Business Owner’s core need was to facilitate buying and selling of Intellectual Property online and to allow users to inquire about & fetch related data from various patent offices. Video calls and Interaction with the overseas client. Balsamiq mock-ups of the solution. Code and Progress of work shared with Client on SVN and Trac. A Web based tool to help attorneys easily select partners based on certain eligibility criteria. A Patent buying and selling service. A Patent inquiry module was added to the website. Recording and tracking Patent related data from multiple patent offices. The implementation automated the Company’s Patent discovery services. Attorney could easily choose partner and keep track of their work based on hard data. Added tools helped attorneys choose partners and keep track of work sent out to and received from partners, facilitating smooth and mutually beneficial partnerships. 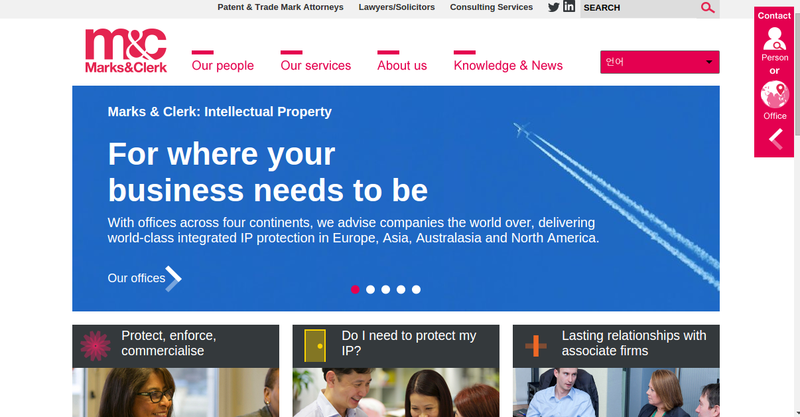 A patent inquiry module was added to the Marks & Clerk website to facilitate the buying and selling of intellectual property.